Woodland Heritage, the UK charity that promotes the productive management of British woods, is pleased to announce the launch of its new look website, www.woodlandheritage.org. The launch of the website was just 2 weeks after the latest edition of Woodland Heritage's popular, and key benefits of membership, annual Journal was posted to its supporter. The 2018 edition is yet another bumper, 108-page issue and includes coverage of several Woodland Heritage-supported projects. The distribution of this year's Journal also follows the successful launch of Action Oak in May at RHS Chelsea Flower Show, of which Woodland Heritage is a founding member, and reports on the Free Growth research at Crumblands Plantation in April. The aim of the new website is to engage with member, supporters and the public by celebrating all elements of the timber industry, educating on the best practice for managing British woodlands for the future, supporting research on critical issues, such as Acute Oak Decline, and much, much more. With individual membership as little as £3 per month, student membership just £1.50 per month, and a brand new membership scheme for businesses, it has never been easier to get involved and become part of Woodland Heritage. So what are you waiting for? 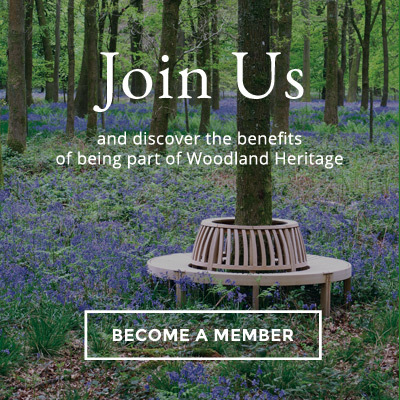 Join Woodland Heritage today!